1. It is 39 years since Red Baron Group was established, and we are one of used M/C dealers with the longest history in Japan. 2. 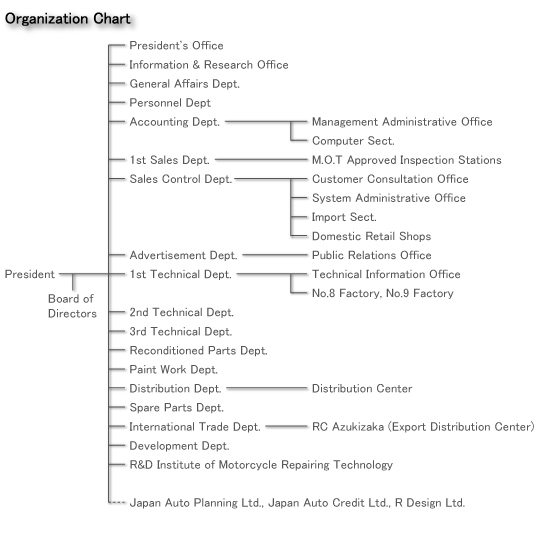 As the center of group, Red Baron Co.,Ltd. operates 3 subsidiaries in Japan. The president & Representative Director is Hitoshi Sugiura, and 7 other Directors are running the whole group together. We also have the biggest capacity of used motorcycles export in Japan, we are the company you would choose for the safe and long-term dealing. Copyright (c) RED BARON CO.,Ltd.